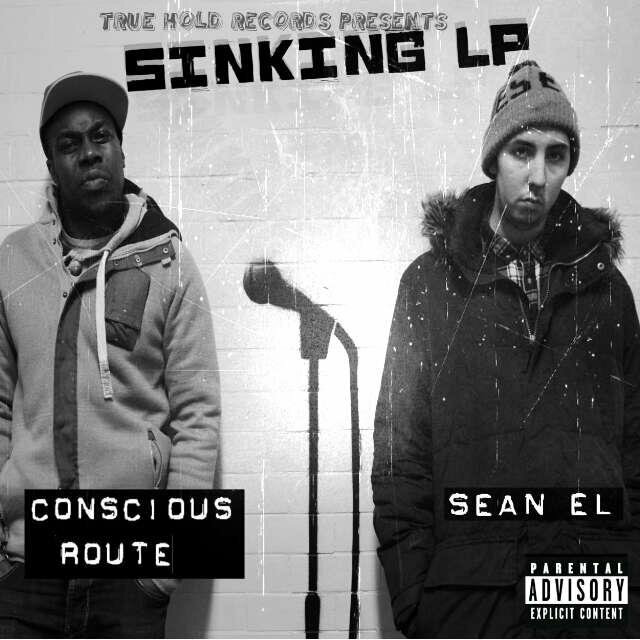 'The Sinking' LP is the latest release from artist Conscious Route (CCF/SOS) with production from beat maker, Sean El (United Front). The pair teamed up after meeting at a Soul Mischief gig back in 2012, since then they strengthened their link collaborating on tracks over the last year, which formed the back-bone of this release. The release is eighteen tracks of boom bap - a feast of conscious flows with controversial punch-lines. The LP has a host of features, including Wolverhampton's BigDutty Deeze, Cambridge-based Dillah (B-illa), Edinburgh crew members Werd (SOS), Jordan Butler (SOS), and London-based singer Anna Fontana. With Sean El also dropping in on the raps, still the list goes on. The diverse LP was mostly spot-written, aside from 4 tracks, with the recording of the beats and raps all completed in just a 5 hour period. With a very diverse beat selection there seems to be something for every kind of hip hop head, even turning the ears of hip hop non-believers to maybe liking a track or two. Basically, this is a must listen!